At yesterday's "Justice in Jeopardy, Expanding Access to Justice in Challenging Economic Times" at the UH Richardson Law School, Dean of Harvard Law School Martha L. Minow pointed out that one in five Americans now qualify for civil legal assistance because they are within 125% of the Poverty Level -- a record high in the history in the county. As the demand for legal services grows, the available resources continue to diminish, leaving most without the "equal protection" of the law. 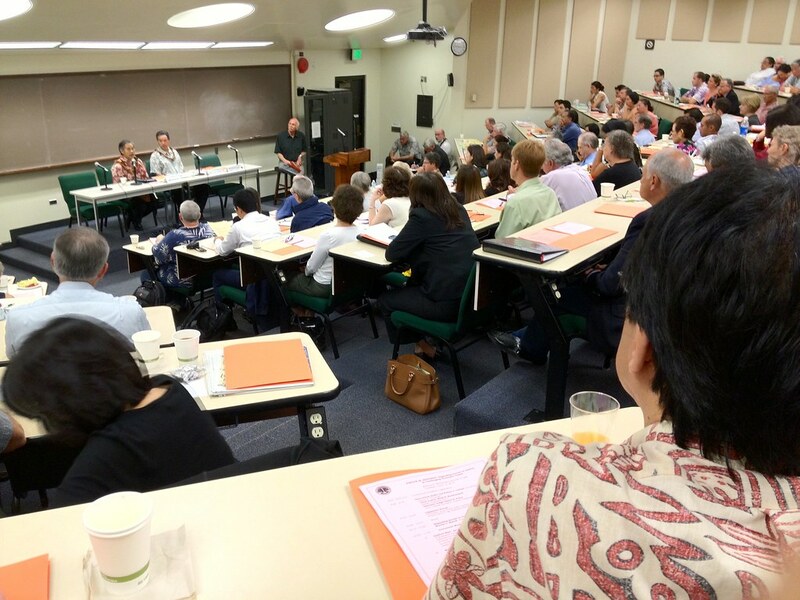 I checked out the breakout session on pro bono because I used to work for Hawaii's pro bono referral service, Volunteer Legal Services Hawaii (VLSH). "Well, let me start out by saying that I've always thought pro bono was a crock. I think it's basically been a concept where rich people have salved their consciences by doing a little bit of work and thinking that they're really making a dent in the problem of providing needed legal services for people who can't otherwise get them. I'd much rather see the big firms -- if they're going to do that -- give money to legal services programs, give money to the people who do that work well, and who need more bodies, more lawyers, more people who do it on a full time basis. " Seitz went on to explain that two thirds of the work his firm does is pro bono supported by paying cases. But he admitted, "That's kind of a unique model. If you want to do that kind of work you can find a way to do that. But it's not going to make a dent in society and the needs that we've been talking about here to just donate a few hours a week or a few hours a month or 50 hours a year. It's got to be done on a much larger more comprehensive scale and basically what's got to be done is organize and marshal the resources in the most effective places, and those are the organizations that are already doing this well and just don't have the people, the lawyers to be able to expand their capacities. " Yup. But when Seitz asked Minow (who is also Vice President of Legal Services Corporation) about the prospects of LSC restoring the kind of funding and leadership it had in the '70's that was so effective, the answer was a "not any day soon" kind of reality check. So the weather report is continued civil inequality and unrest. Until those who can do something about it do something about it. Else it's going to be a runaway truck ride down Pali Highway in a rainstorm.